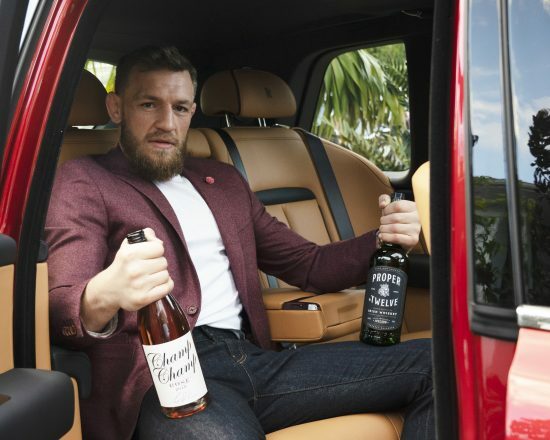 Conor McGregor launched Champ Champ Rosé™ produced and sold through his new company McGregor Vineyards. The brand is due to hit retail store shelves and restaurants in Ireland and the United States on 1 May. This new business venture follows McGregor’s launch of Proper No. Twelve Irish Whiskey, which has experienced record sales in multiple countries and has become the most followed spirit brand in the world on social media @properwhiskey.